Find yourself fighting with the kids over what’s for dinner? Every parent is familiar with that time of day when the sun sets and the battle for dinner begins. What do we eat? Whose turn is it to prepare this time? How do we get everybody to sit around the table, ourselves included, for a full half-hour, phone-free and with no screens in sight? The long school days and the long working hours, topped with cellphones, televisions and computer screens, and not to mention the kids’ diverse tastes – turn dinner into one of the central challenges of every family’s routine. A solution to this far-from-easy feat turned up in an unexpected place, when six teenage girls came up with the idea of an experiential game that would turn the logistics of dinner into a fun family activity. 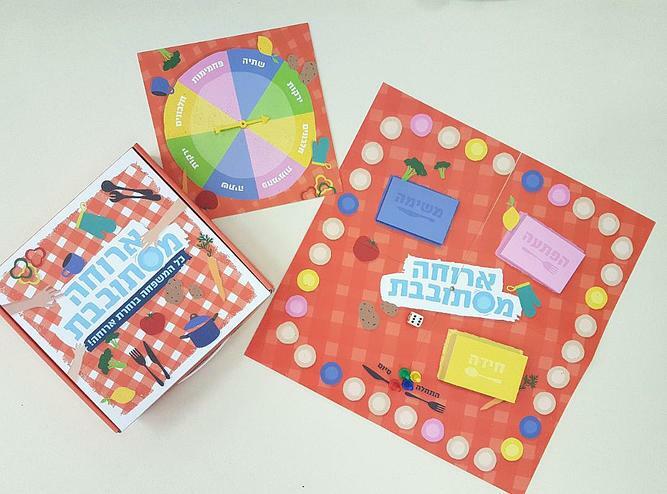 The game is called “Spin your Supper” and was created by tenth graders from Ohr Torah Stone’s Ulpanat Oriya High School for Girls, as part of the J.A (Junior Achievement) Project. The game works in the following way: You begin by writing two food items from each category you have at home (carbs, proteins, vegetable and beverages) on the erasable game-board. Then spin the pointer until you’ve randomly come up with a full meal. The game-board is also used during the preparation of the food and the meal itself, when cards get handed out with assignments and surprises, so that everybody gets to learn about everybody’s day. “The idea for the game came about from watching our own parents having to deal with the dinner challenge – trying to make food everybody likes, working around a busy schedule, detaching the kids (and themselves) from their phones or computer screens and getting everybody to the table. This led to the idea of turning the meal into a joint family experience, where everybody takes part not only in the eating but in the planning stage as well,” says Shaked ben Abu, one of the game’s creators. 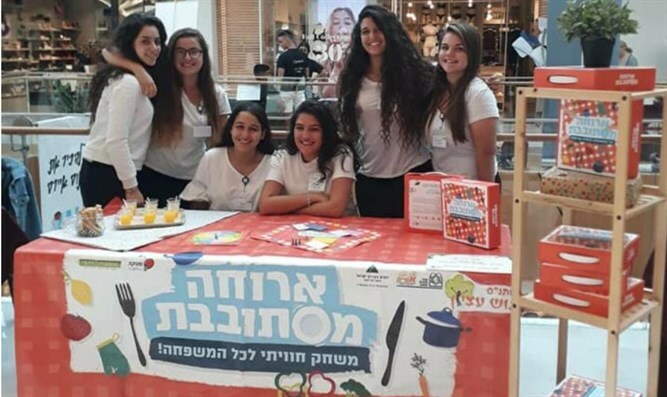 The girls’ idea made the finals of the J.A Israel national competition as part of the “Doing Business” program. In order to promote the idea these high school girls went so far as to found their own company by the name of Matka, that acts to promote young business entrepreneurship.